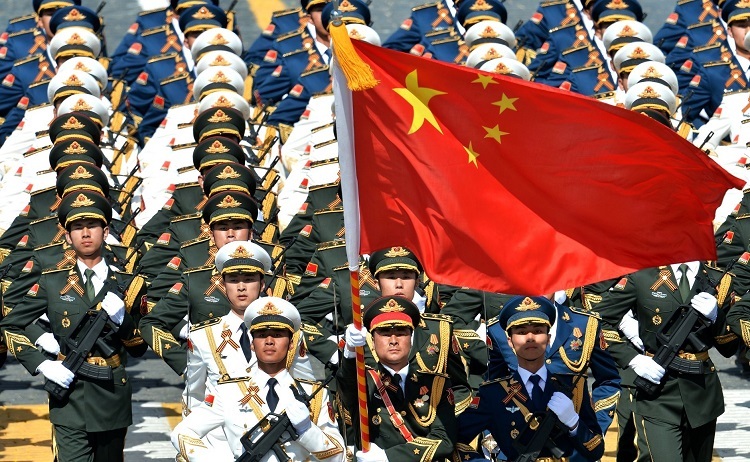 Research by Chinese scientists in Australian and other Five Eyes nations’ universities increases China’s military capability and is not in our national interest. China sends its military scientists into our universities for one reason—because it helps the PLA become a more capable force. We need clear government policy, implemented by our universities, to prevent those institutions from increasing China’s military capacity—because, unlike the US, China does not share Australia’s strategic interests and is a potential adversary. Some 2,500 People’s Liberation Army (PLA) scientists have been placed in Western universities since 2008 to engage in research with international partners in these universities. Two Australian universities—the Australian National University and the University of New South Wales—are in the top 10 for PLA collaboration, measured by the number of peer-reviewed publications co-authored by Chinese military scientists and overseas researchers between 2006 and 2017. Since 2007, we estimate the Chinese military has sent some 300 military scientists to Australia—fewer than the 500 who have been sent to each of the US and UK, and around the same number as were sent to Canada over the period. Research areas Chinese military scientists have been involved in in Australia include satellite navigation, remote sensing, supercomputing, signal processing and cryptography. These areas of research are all directly relevant to a military’s ability to succeed during conflict and war. Satellite navigation technologies and knowledge underpin precision weapons’ ability to hit targets. Remote-sensing technologies help identify targets, sift those targets from civilians, friendly forces and background ‘clutter’, and then guide weapons to hit their targets. Supercomputing has applications from developing nuclear weapons to making sense of large volumes of data. Signal processing has a key role in intelligence collection from all kinds of electronic systems, from communications to missile guidance systems. Cryptography is at the heart of securing military and state secrets. It’s not just the ANU and UNSW—other Australian universities have had Chinese military scientists work with them, including the University of Sydney and the University of Wollongong. As my ASPI colleague Alex Joske’s ground-breaking international research report says , the Chinese military refer to what they’re doing as ‘picking flowers in foreign lands to make honey in China’. It’s hard to see a clearer statement that these research placements are viewed by the PLA as creating value for the Chinese military. The Chinese military sends its best and brightest, all of whom are Chinese Communist Party members, overseas. They do this because these military scientists learn new skills and engage in research of value to the PLA. They also establish enduring personal and professional research partnerships that continue to benefit the PLA over many years. The reaction to Joske’s report by some academics has been to say that there is no problem with any Chinese scientists working in Australian universities—either because the research is in its early stages, or because all the research is peer-reviewed and the results are published openly. This entirely misses the point of the value to the PLA of its military scientists working in our universities. It seems that 100% of Chinese military scientists sent to overseas universities through this program returned to work for the PLA. These scientists then go on to win prizes for the excellence of their work in increasing PLA capability. China’s National University of Defence Technology recommends that when choosing where to study overseas, military scientists’ first priority should be the relevance of the research direction of an overseas institution to their work for the PLA. This Chinese military university tells researchers being placed in our universities that they should ‘fully take advantage of the cutting-edge research conditions and environment abroad’ and ‘map out the arrangements of their overseas research and their plans after returning  to China’. Chinese military researchers clearly benefit from the experience, skills and relationships they gain from their time in Australian and other international universities. Raising the capacity of PLA scientists in and of itself increases the military capability of China’s military. China is not an adversary of Australia’s, but it is a country with a leadership with whom we do not share strategic interests. China’s militarisation of the South China Sea, its repression of its own citizens through mass surveillance and censorship of free speech, and internment of some one million of its Uyghur citizens in re-education camps show important differences between our two countries. If the leadership in Beijing continues to use its growing military, political and economic power coercively at home and around the world, the strategic differences between China and Australia will only deepen. There is no clear government policy in Australia or internationally on university research cooperation with the Chinese military. Current defence controls are mainly backward-looking about technology—controlling systems and items that already exist—rather than about the creation of knowledge and new technologies with strong military uses. Whatever our own scientists think, the PLA has judged that sending its best and brightest young scientists into our universities is a key way for it to gain a future advantage in warfighting. We need to take that judgement seriously, and be very clear that it is not in Australia’s interests to help the Chinese increase their military capabilities—either by giving their military scientists skills and knowledge that allow them to create new systems for the PLA, or by the direct work they do with our own researchers. We spend hundreds of millions of dollars protecting high-end military systems like the joint strike fighter, Collins-class submarine, Growler electronic attack aircraft and JORN over-the-horizon radar from compromise by the militaries of countries including China and Russia. The research that led to the creation of these advanced platforms was undertaken in universities decades ago. In the language of international technology and export-control machinery, the PLA is an end user that we should prevent from gaining access to the skills or knowledge that help it become a more capable military force, given we know that through Beijing’s civil–military fusion  agenda, it seeks a strategic military advantage over the US and its allies (including us). It’s not our job to help Beijing achieve this. Research underway now in our universities will be the source of our future military advantage. At the moment, we aren’t doing anything like enough to protect that research so that Australia and our allies— instead of potential adversaries—reap the benefits.